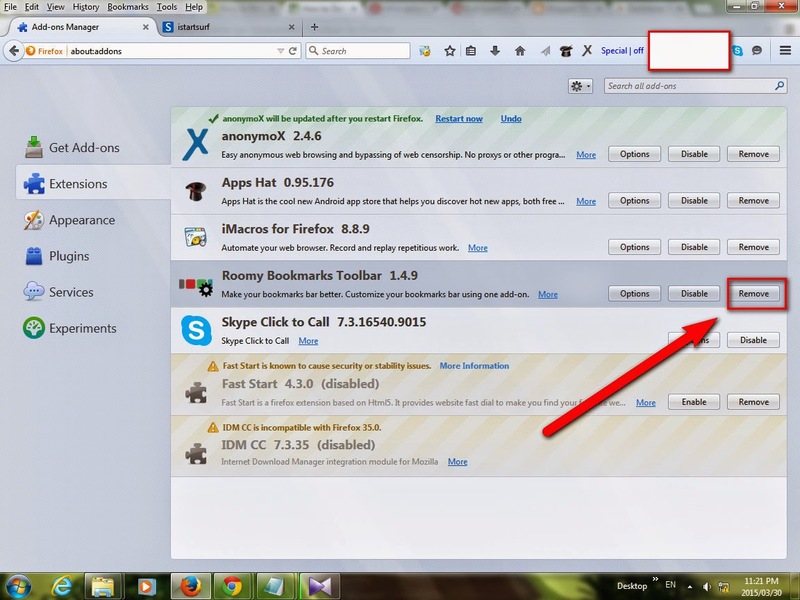 How to Remove Unwanted or bad toolbar from Mozilla Firefox with easy steps, Follow the below steps. 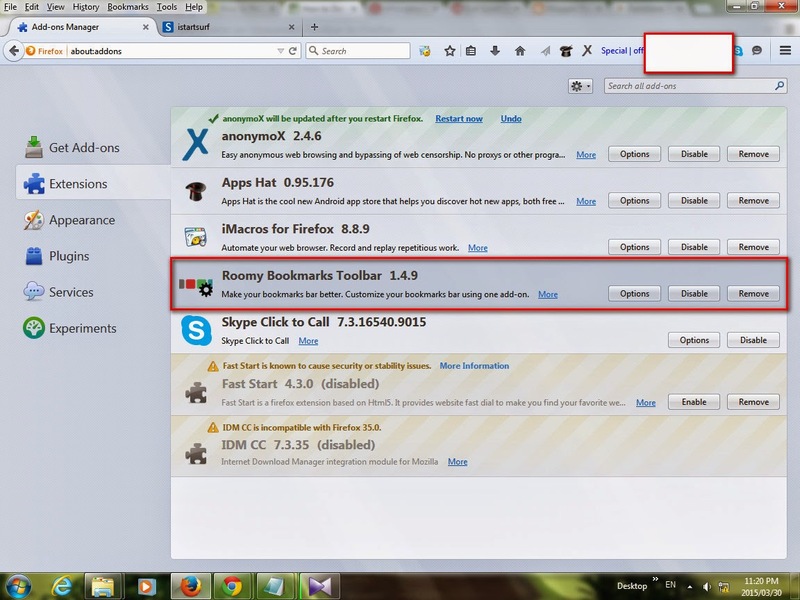 Step 2: Click on Tools, In the top left side as you can see in below image. Step 3: Click on Add Ons. Step 4: Then Go to Extensions. Step 5: Select the toolbar which you would like to delete. Step 6: Click the Uninstall. 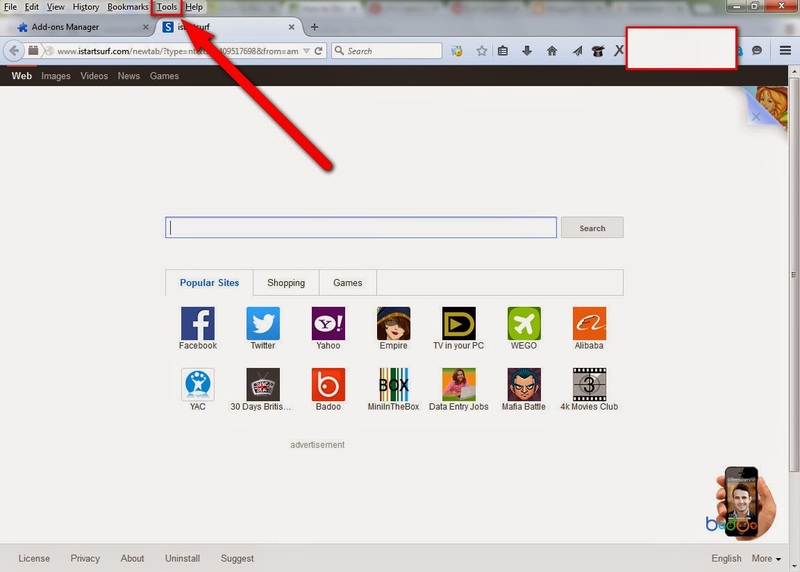 After Restart of Firefox you won't see this toolbar again. 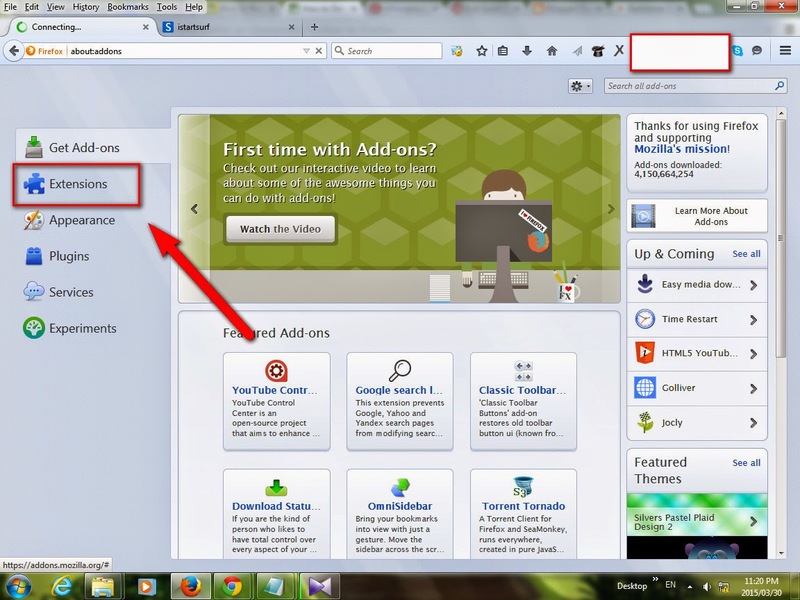 2 comments to ''How To Remove Unwanted Toolbar From Mozilla Firefox"
It's good decision and it's right but not enough. 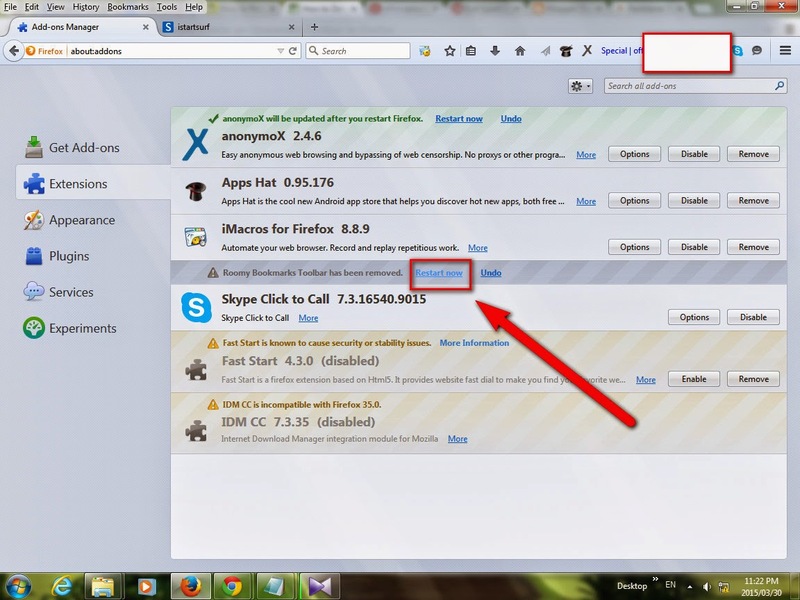 If this is malware, you cant just remove it from browser, maybe other browsers are infected too or it's left on your PC. 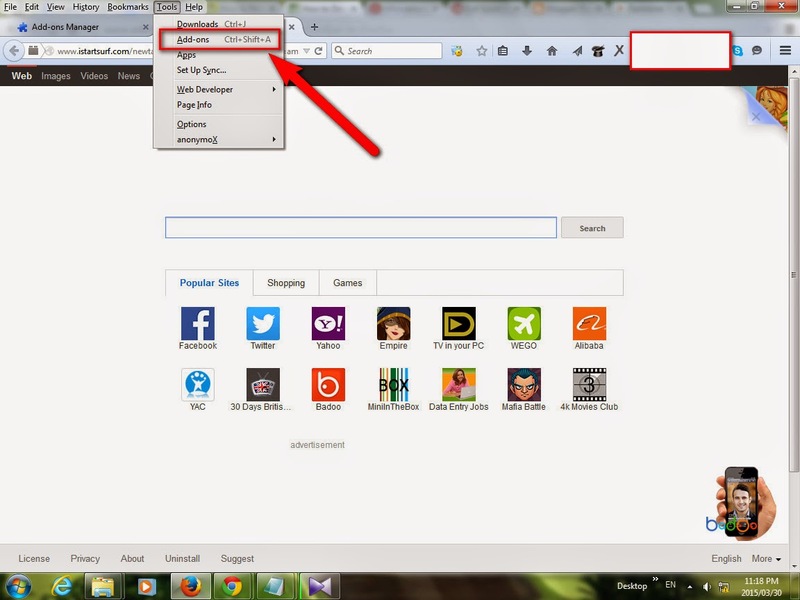 Here is detailed guide how to remove, for example Ask bar from pc http://removalbits.com/how-to-remove-ask-toolbar-from-your-browser-removal-guide/. I am now using quick heal antivirus it show that there is no any virus,malware etc. But on my laptop big site named site open automatically. And my laptop also gets start slow. speed also decreased please help me..